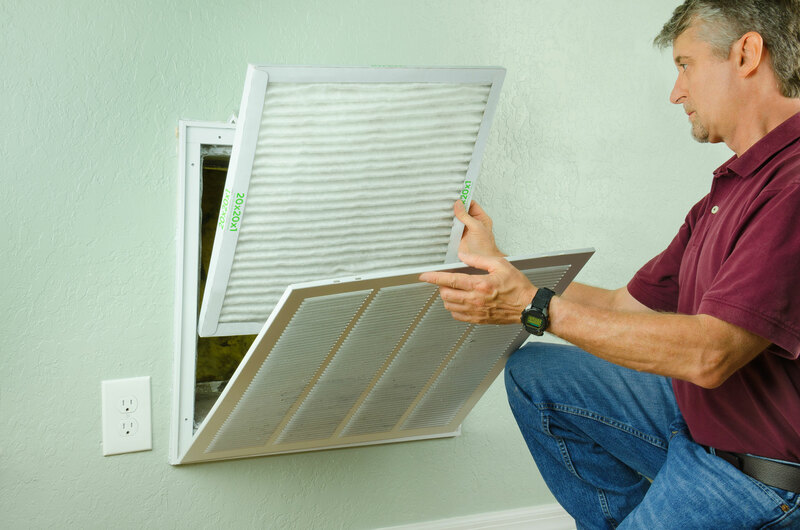 Proper heat pump maintenance is the key to its efficiency. According to the US Department of Energy (Energy.gov), the difference in efficiency between a well maintained heat pump and a poorly maintained one can be as much as 25%. They recommend that you have a trained service tech inspect and service your whole system annually. But there are still a lot of things you can/should do yourself, if you’re able. So what should you be doing to help keep your unit in tip-top shape? Here is our list of the top 10 things to help guarantee your central heat and air unit are running at top efficiency. Maintain your system according to manufacturer’s instructions. Dirty filters, coils, and fans reduce airflow through the system. Reduced airflow decreases system performance and can damage your system’s compressor. Remove vegetation and clutter from around the outdoor unit. Clean the supply and return registers in your home, and straighten their fins if bent. Do not set back the heat pump’s thermostat if it causes the backup heating to come on — backup heating systems are usually more expensive to operate. Operate the system on the “auto” fan setting on the thermostat. Unless you have a high-efficiency variable-speed or displacement fan, continuous operation will lead to premature failure. Got it? If so, you’re on the right path to having a unit that will keep your home comfortable for years to come. So what’s the next step? Annual inspections & service by a certified heat & air tech is the best way to guarantee you’re getting optimal performance and aren’t hit by an unexpected failure that could be costly.